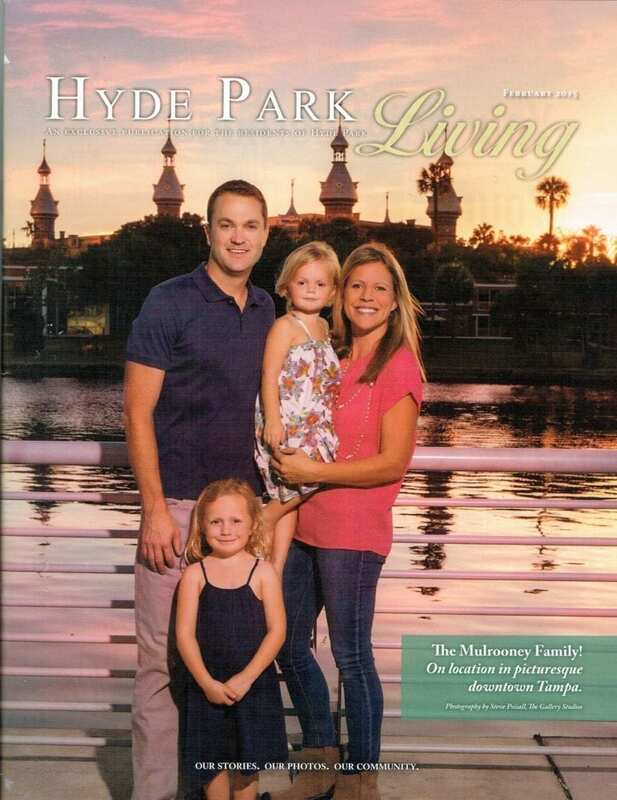 We've been advertisers in Hyde Park Living and Palma Ceia Living magazines (really nice full-sized glossy magazines) since they were first published a few years ago, as these are two of our favorite south Tampa neighborhoods. When I mentioned a recent project to the magazine director, Bradley Hassen, she very nicely offered to do a feature article in the magazines. The project highlighted is a two-story garage-apartment recently built in the Historic Hyde Park neighborhood. The article appears in the February issue of Hyde Park Living and will also be in the March issue of Palma Ceia Living. The magazines are mailed to residents of each neighborhood. Click on the link below to see the article in better detail. Hyde Park_Feb15 (dragged) For advertising info for your own company, contact Bradley Hassen at 813-494-0130. While this building will not be on the upcoming Historic Hyde Park Home Tour on February 28, Historic Shed will have a booth there and you can see the exterior of the two-story garage-apartment from the street, in between touring the fabulous historic homes. Stop by the booth and we will give you the address. 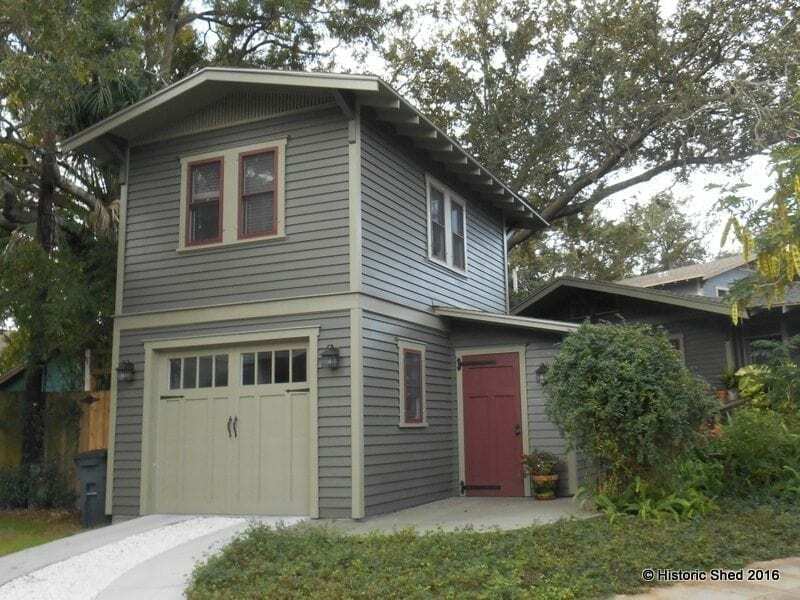 Historic Shed was contacted by a couple who live in the Hyde Park historic district in Tampa to design a garage and guest room for a very unusual lot. Triangular in shape, their small lot was just over 4,500 sf and contained a lovely one-story Craftsman bungalow with less than 1,000 sf. The atypical lot was further constrained by a large protected oak tree on the site, and one on a neighbor's lot, just over the property line. With Tampa's strong tree protection ordinances, this left little space to build. Building up was the only real option to maximize the remaining lot space. After tweaking the design to fit the lot and meeting with Tampa's Historic Preservation Office and Forestry Department, the resulting project created a 12'x20' one-car garage with apartment above. A 6'x8' one-story shed allowed additional storage while accommodating the lot's shape and giving a visual step down from the two-story volume to the street. The stairs were placed at the rear of the building for privacy with an exterior design that allowed them to encroach within the required oak tree setback. The garage design itself took its cues from the main house which had a low-sloped front-gable roof and very wide eaves. Walls were clad in lap siding and an existing skirt board was inspiration for a belt course on the new building. The new outbuilding was kept simpler in architectural detail, but clearly complementing the main residence. See more about the Two-story Garage-apartment options. A two-car version is in the works as well.